Andrew Hogarth – Great Plains Volumes I & II Album Liner Notes. Track 1 Sitting Bull. Music and Lyrics by Andrew Hogarth and Chris Fisher. The memory of Hunkpapa Lakota Chief Sitting Bull, the man, his life and vision always provides a source of inspiration and a sense of determination that accompanies me during my journeys throughout the plains. 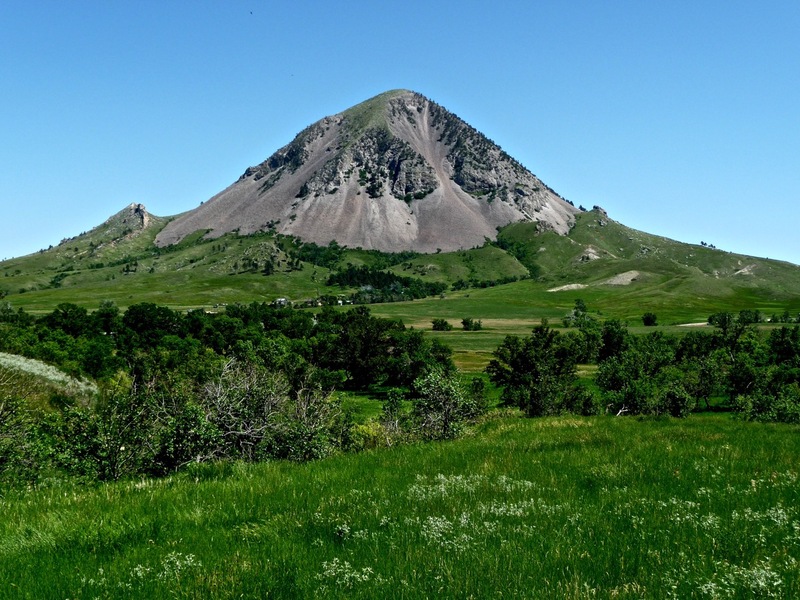 In the summer of 1995 I attended a pipe ceremony held in his honour at Bear Butte in South Dakota. It was the nineteenth year that a group of his descendants and their friends had gathered to honour him. My lingering memories of the ceremony are of the vast number of dragonflies that flew among the participants and the eagle that circled overhead. It was indeed an experience. 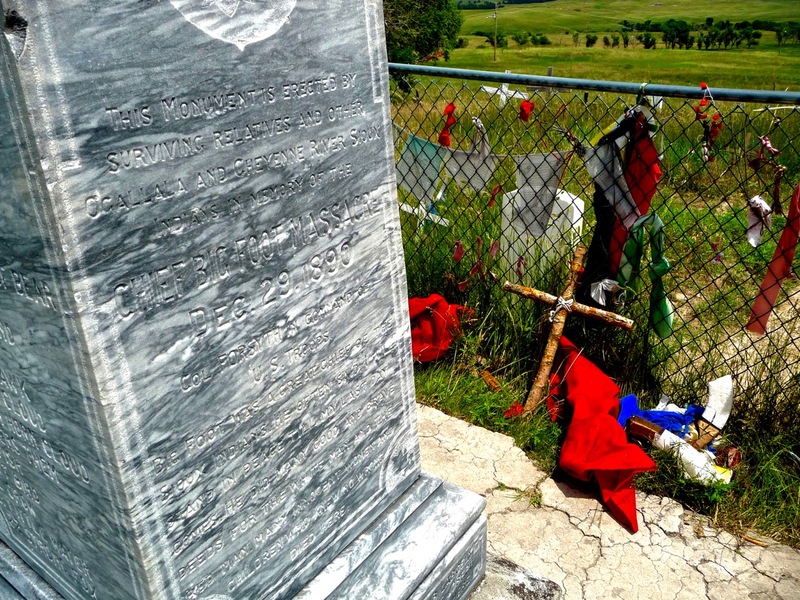 A visit to Sitting Bull’s grave which lies on the banks of the Missouri River, near Mobridge, South Dakota always offers me the chance to pay my respects to this truly remarkable freedom fighter of the Lakota people. Andrew Hogarth. Track 2 Medicine Water. Music and Lyrics by Andrew Hogarth and Chris Fisher. Medicine Water was born in 1835 in Yellowstone Country. As a chief of the Bowstring Warrior Society he sought to preserve the traditions and lifestyle of the Cheyenne. Medicine Water recognised the unjust acts the United States government inflicted upon all Indian people. The taking of land, the depletion of hunting resources and the establishment of artificial boundaries. He knew that for the Cheyenne that this was done without their consent or in consultation. Throughout his life Medicine Water demanded respect as Chief of the Bowstring Warrior Society. He rode his mount refusing to acknowledge fences, markers or other confinements. He would travel the middle of the road, refusing to yield to oncoming travellers making others move to the wayside for him to pass by. Medicine Water died in 1926 aged ninety – one. John Sipes Jr. Seated Cheyenne Chief, Council of Forty-Four & Tribal Historian. Great Great Grandson of Medicine Water. Image Courtesy of John Sipes Jr. Family Oral Histories Collection. Track 3 In Dreams. Music and Lyrics by Andrew Hogarth and Chris Fisher. One of the last songs written for the album, In Dreams is a commentary on the process of creating Great Plains. It is purposely metaphorical and multi-levelled. It represents my journey through the creative process, in meeting the many challenges along the way and the broadening of my own world view through researching Native American history and culture. 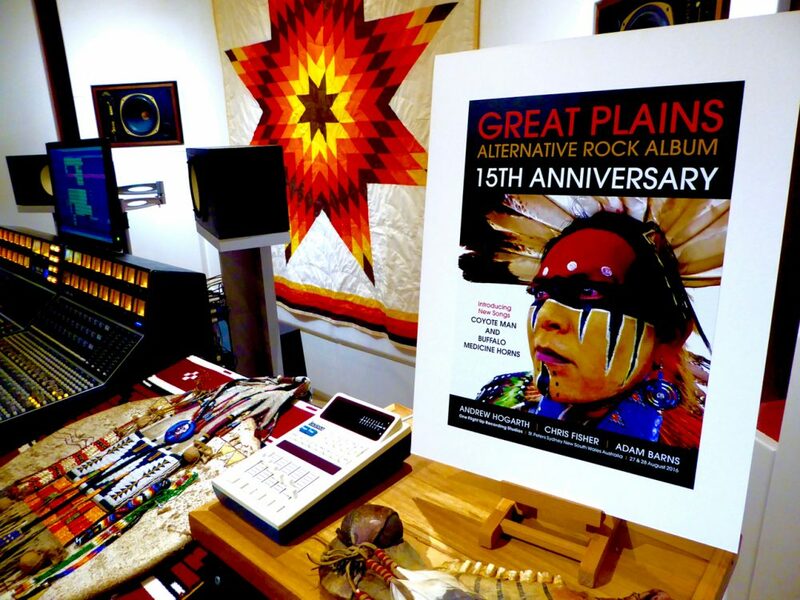 At first, Great Plains may appear to be simply a tribute album to the American West and in particular Native America but the stories and their many nuances are universal. The issues cross boundaries of time and culture. Ultimately however you choose to interpret In Dreams, the essence remains – in finding, nurturing and celebrating the kingdom within each of us. Chris Fisher. Track 4 Lightning Creek. Music and Lyrics by Andrew Hogarth and Chris Fisher. In 1895 the Wyoming State Legislature enacted game laws which outlawed the hunting of deer and antelope. Despite the enforcement of this law Indians continued to hunt wild game. In October 1903, a party of Sioux travelling for the purposes of gathering medicinal plants were, despite their permits, tragically mistaken for a hunting party. A local posse confronted the Sioux on Lightning Creek. The battle was short but heavy casualties resulted on both sides. Over thirty years later the Sioux returned to claim their dead. The following is an extract from a 1996 letter by Dave Thomson recounting the scene witnessed by his father, Rod Thomson. 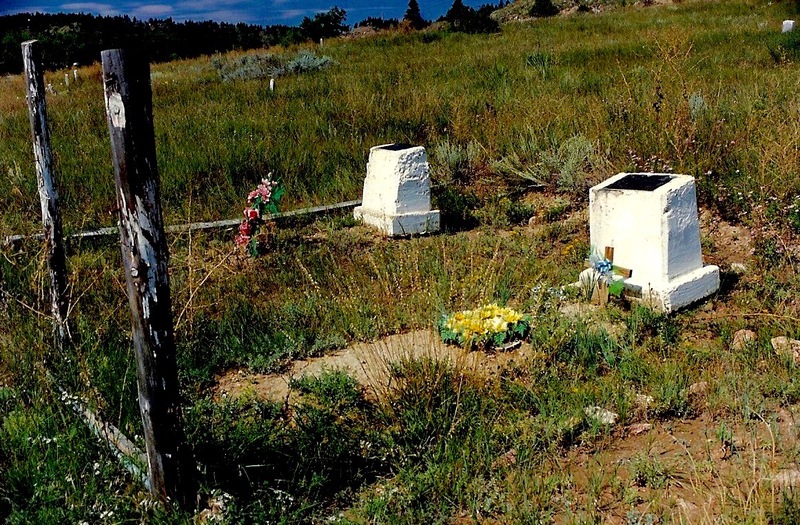 “In 1936 two old Hoppies-Jitneys (old cars) full of Lakota Indians stopped at our ranch house and asked permission to go down to Lightning Creek and dig up the remains of their relatives and comrades that had been buried after the battle in 1903. There were two elder Indian survivors from the battle, they did all the work at the burial site. One would find a tree or where a tree had been, then step to another tree, if the steps didn’t come out right he would try another route. After a try or two and the right space between trees was found, the second Indian paced off some steps, would dig and locate bones. Three to four bodies were located in the near darkness of the evening light, thirty-three years after the battle, with only steps and memory. 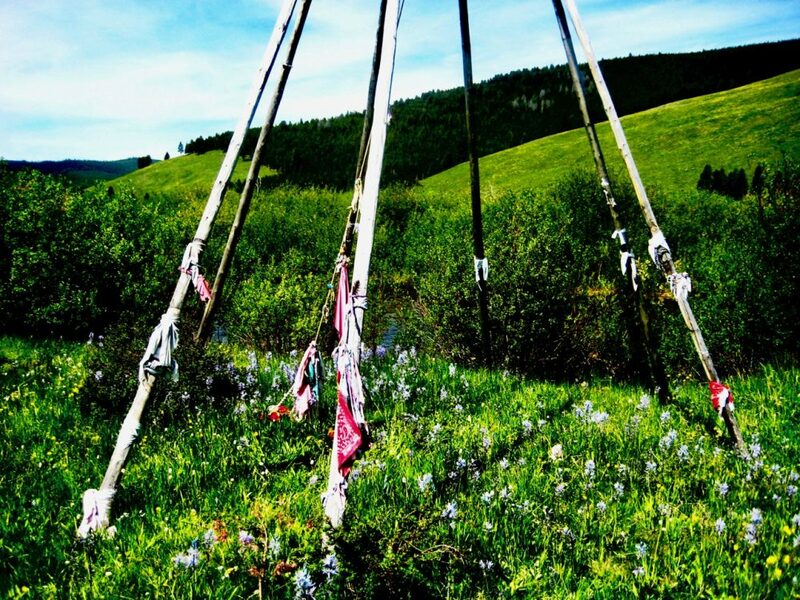 This never ceased to amaze me in later years, it was truly a remarkable.” Dave Thomson, Lightning Creek Rancher. Track 5 Sweet Medicine. Music and Lyrics by Andrew Hogarth and Chris Fisher. 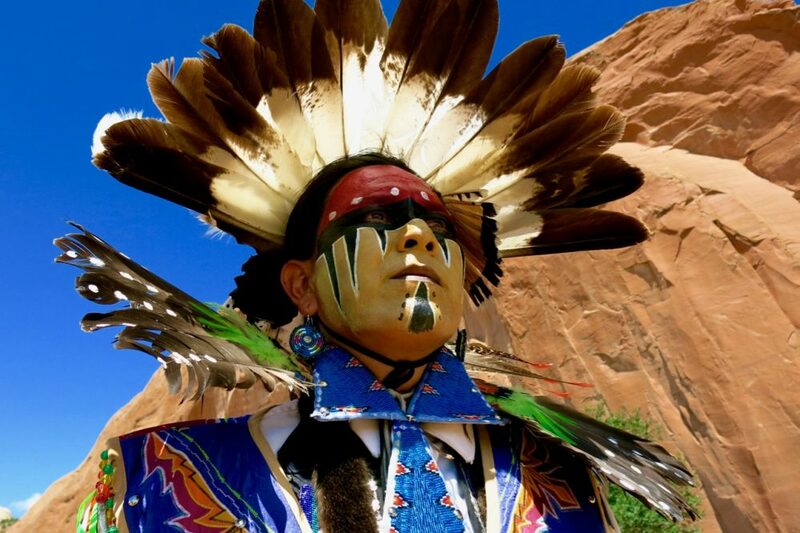 The Cheyenne have a long, rich and complex history. Sweet Medicine is a prominent figure in their mythology and culture. Some mystery still surrounds the story of Sweet Medicine but he is attributed with showing the Cheyenne a harmonious and respectful way in which to live. 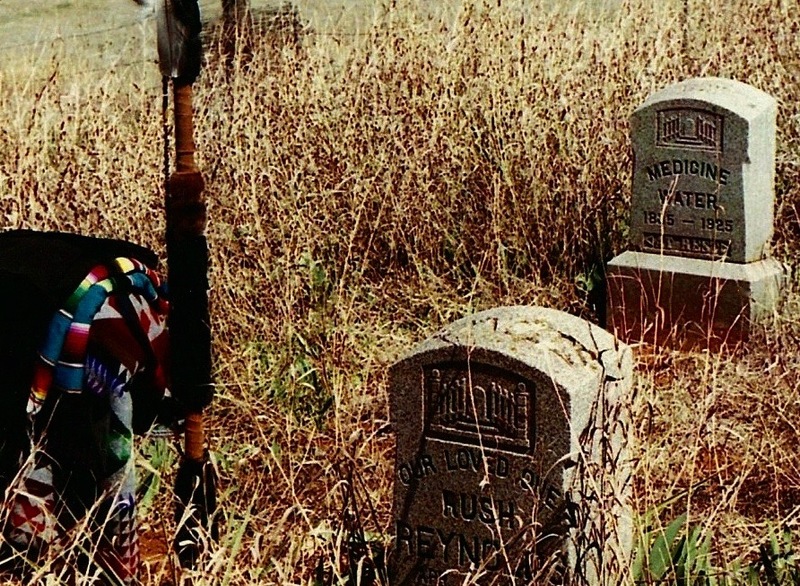 Cheyenne history is also punctuated by loss and tragedy. The massacre at Sappa Creek is but one incident in the grievous conflict caused by westward expansion of the American population and the near genocide that resulted. 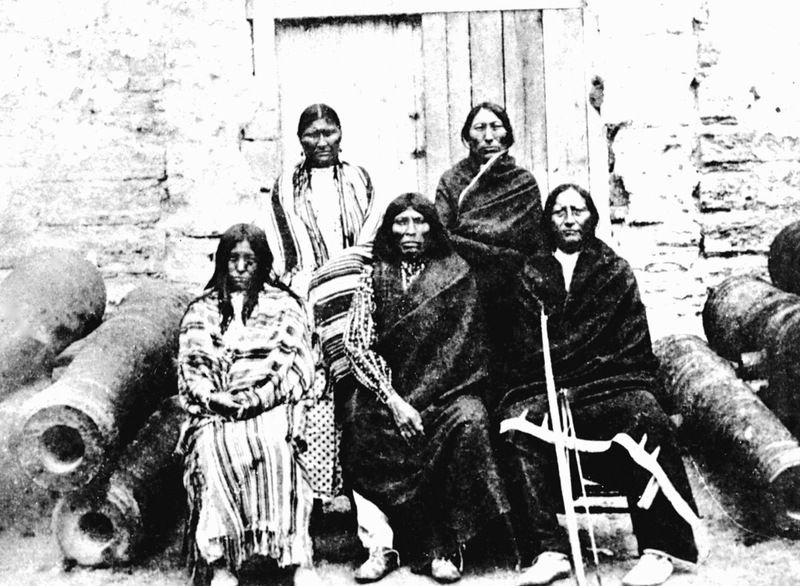 Significantly women and children were often the victims of assaults against the Cheyenne. Rather than prolongate the mourning Sweet Medicine is a celebration of the continuation of their society – an expression of power and pride. Chris Fisher. Track 6 Crazy Horse. Music and Lyrics by Andrew Hogarth and Chris Fisher. Crazy Horse, the Oglala Lakota mystic first came to prominence during the 1860’s war between the Lakota Nation and the United States government. Thought to be a modest and somewhat reclusive man, he was however a staunch defender of his people and their way of life. 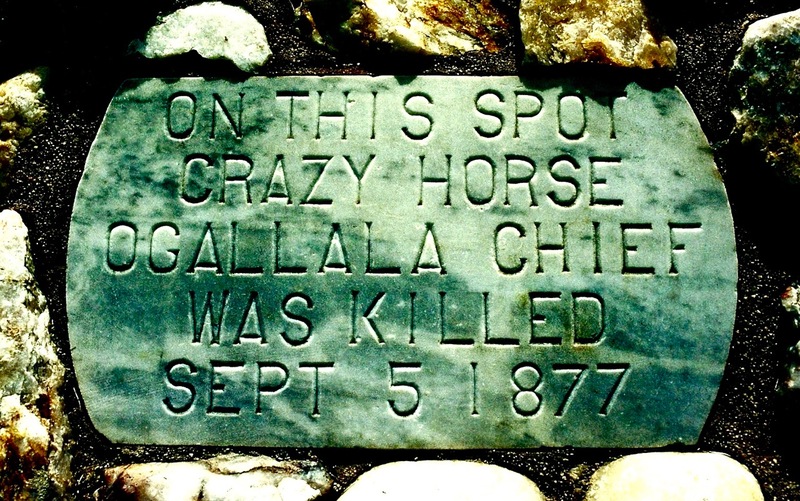 Refusing to accept the confines of a reservation, Crazy Horse and his band preferred to hunt and roam the Tongue and Powder River region of south eastern Montana. After their dramatic loss at the Little Bighorn in 1876 the United States army intensified their presence on the Plains. Freedom for Crazy Horse and his band became elusive. Unable to feed his people Crazy Horse was forced to surrender in May, 1877. He was killed a short time later. His last words are said to have been “A good day to fight, a good day to die! 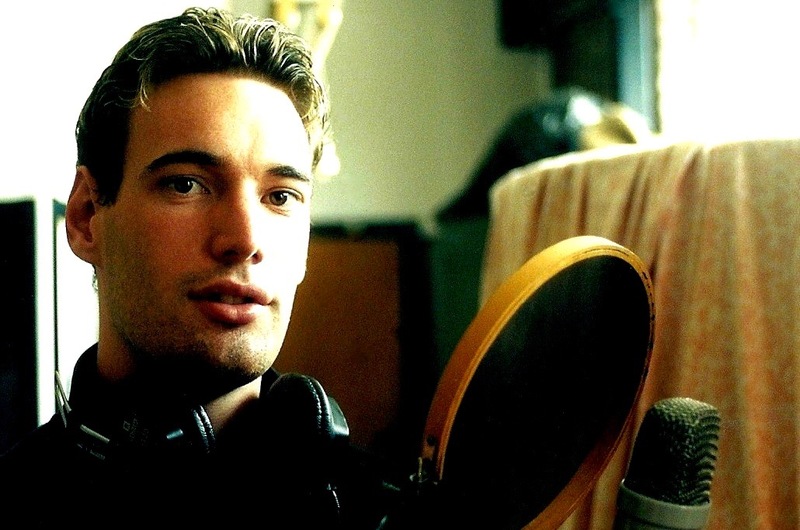 Brave hearts…” Chris Fisher. Track 7 Hands of Time. Music and Lyrics by Andrew Hogarth and Chris Fisher. What is often forgotten is that the history of the American West is so very recent. There is a tendency to relegate people and their stories to the confines of a static past but history really becomes more interesting when the distinctions between the oral tradition and the written word are blurred. One of the greatest pleasures in travelling the Great Plains is to visit with people who continue to link the past with the present. It makes history real. In 1930 Nebraska author and rancher, Caroline Sandoz Pifer travelled with her sister Mari Sandoz, also an author, to the Pine Ridge Reservation in South Dakota to talk with Lakota Chief He Dog. 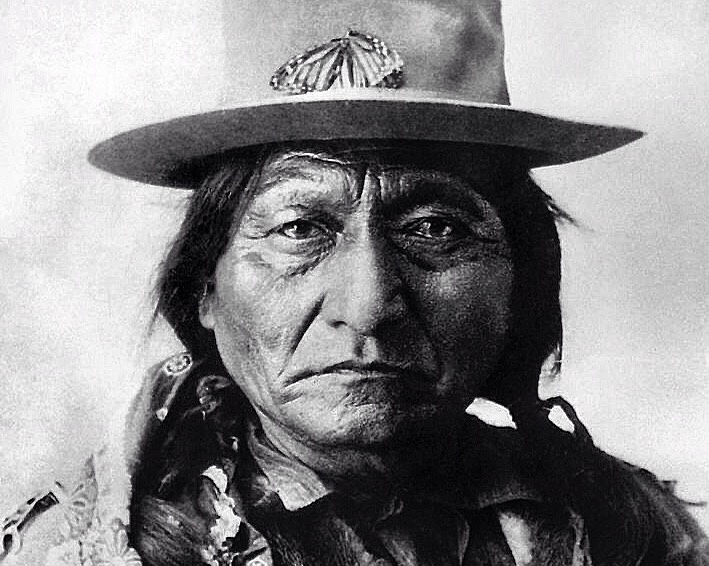 He Dog was a close friend of Crazy Horse. He was ninety years of age while Caroline was just sixteen. 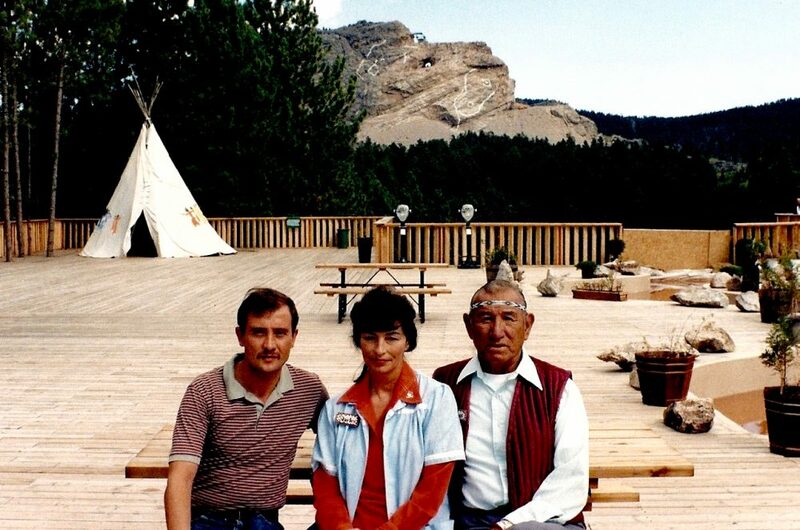 During a trip to the Dakota Badlands with his parents Charles and Leota Cochran in 1948, historian and trader Chuck Cochran met and was photographed with Dewey Beard, a survivor of the Battle of the Little Bighorn and the Wounded Knee Massacre. This is one of his many stories. Apprentice photographer Bill Groethe photographed the last nine survivors of the 1876 Battle of the Little Bighorn in the Black Hills, South Dakota in 1948. 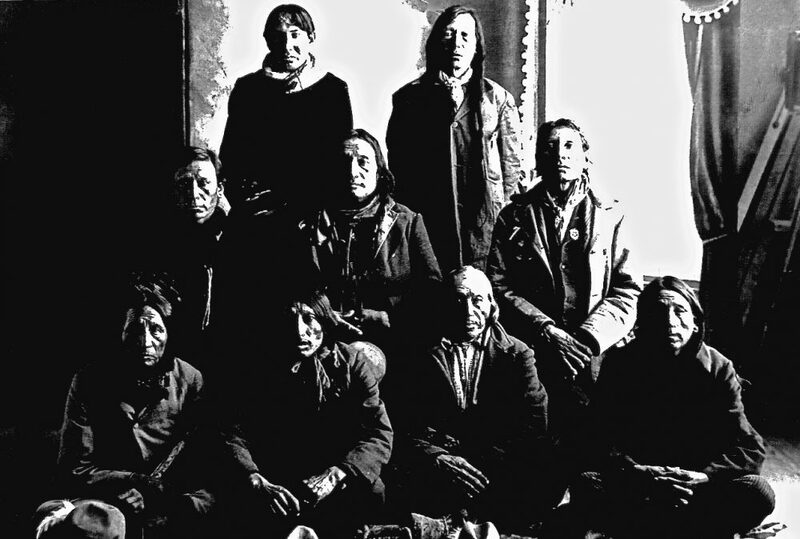 Black Elk, John Sitting Bull and Dewey Beard are among the survivors. Today Bill Groethe continues to photograph the uniqueness of the Great Plains. In 1989 I had the opportunity to hear Lakota Ceremonial Chief Frank Fools Crow address a small audience at Cedar Lodge, South Dakota. Fools Crow, a tireless advocate for his peoples rights, was born around the time of the 1890 Wounded Knee Massacre. It was an honour to be able to shake his hand. Andrew Hogarth. Track 8 Reach Up. Music and Lyrics by Andrew Hogarth and Chris Fisher. The history of Native America since the arrival of Columbus is characterised by hardship and struggle. A time of disruption to the land and the rhythm of nature, stress on nation, alliances and kinship and the pressure to relinquish a way of life. However, Native America did not give up, even to the point of Holocaust they did not back down. There is a lesson in their story for us all. The inspiration for Reach Up is drawn from that history. The issues of hardship, struggle, stress and pressure are timeless and universal. The ability to negotiate a way through the drudgery, mindlessness and superficiality of much of our world is paramount to realising your freedom. Passion and vision are the keys to your control. Chris Fisher. Track 9 Great Plains. Music and Lyrics by Andrew Hogarth and Chris Fisher. My initial visit to the American West in 1981 was an attempt to see and feel the land that was an integral part of the nomadic horse cultures of the Great Plains. A land and culture that was defended so unconditionally by Native American leaders such as Crazy Horse, Sitting Bull, Red Cloud, Dull Knife, and Little Wolf. It has taken 200,000 miles travelled over three decades to begin to understand the Plains. It is a special place, a place that defies simple definition. 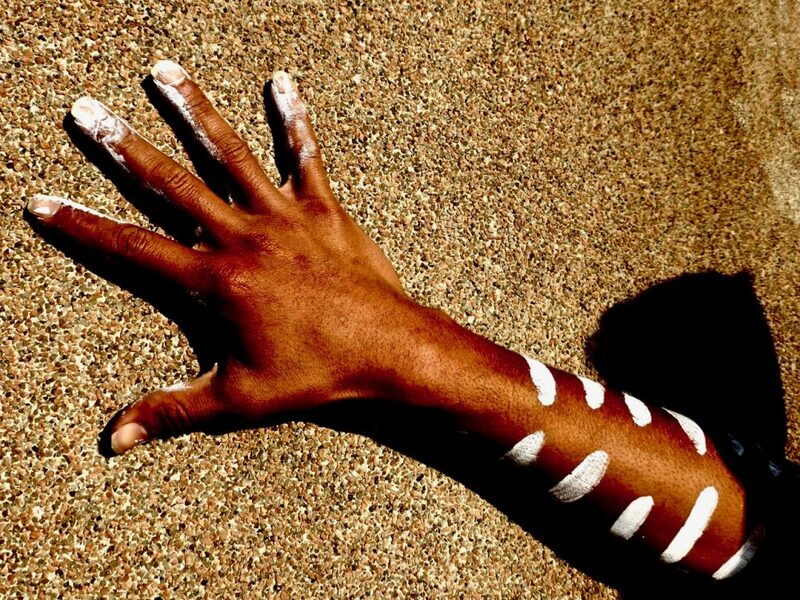 The land does not exist in isolation but is part of a unique relationship between indigenous Americans, other people of the land and all aspects of nature that are synonymous with the North American continent. It is a place where the distinctions between past, present and the future are subtly blurred. Andrew Hogarth. Track 10 Angel’s Play. Music and Lyrics by Andrew Hogarth and Chris Fisher. The concept of love has a multiplicity of meanings and endless shades of interpretation. The love between two people can be a powerful and motivating force. It can be consensual or dependent. Love can be possessive or give freedom. It can stand alone or extend to encompass family. It is a respect for the concept of love that has sustained a culture. It is the celebration of an individual or the joy of the tribe. Love is the bond that is sustaining through the dark times as well as the bountiful. It is love that gives one a sense of immortality. Angels’ Play is my celebration of one of the many faces of love. Chris Fisher. Track 11 Lakota Spirit. Music and Lyrics by Andrew Hogarth and Chris Fisher. 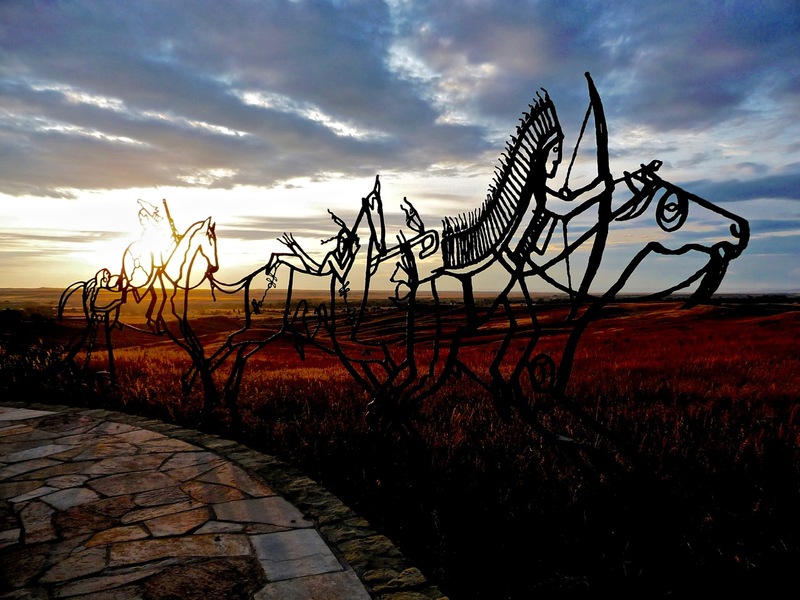 For more than three decades from one of the earliest incidents in 1854, through to their victory at the Little Bighorn in 1876 and finally their defeat at Wounded Knee in 1890, the Lakota of the Great Plains resisted the intrusion of the white man into their lands and way of life. The twentieth century witnessed their desperate struggle to maintain their identity within a foreign culture. The healing of the wounds of their ancestors continues to be a long and painful journey but the Lakota have emerged victorious. There is hope for the future. Lakota Spirit is a tribute to the indomitable spirit of the Lakota Nation and to the memory of Oglala-Brule-Lakota Jack Little (1920 -1985), a straight talking man whose own story chronicles much of the turbulent history of the Lakota. Andrew Hogarth. Track 12 Coyote Man. Music and Lyrics by Andrew Hogarth and Chris Fisher. This is my tribute to the man who confirmed the existence of and helped me understand those shadows in my romantic childhood dreams. Raised on a steady diet of movies and television series about the wild west I wondered why the Indians were always cast as the bad guys, generally relegated to a treacherous mob and where did they go after their daring and deadly deeds? As a child and a Scot living under British rule I intrinsically understood that we were breaking their spirit, stealing their land and destroying their culture. It had happened to our people too. Fast forward twenty years and finding myself a casualty of Thatcher’s Britain I ventured onto the Great Plains with no particular purpose other than to have a look around. No not a potential redemption story but idle time put to good use with the expectation of nothing in return. Early in my journey I met Jack Little a full blood Oglala-Brulé-Lakota from the Rosebud Reservation, South Dakota. Born in 1920 in an eighteen pole framed tepee, named in the traditional way by a Lakota holy man and descended from survivors of the infamous 1890 Wounded Knee massacre Jack’s life like so many of his contemporaries would follow a previously unchartered path. A traditional man in an untraditional world. 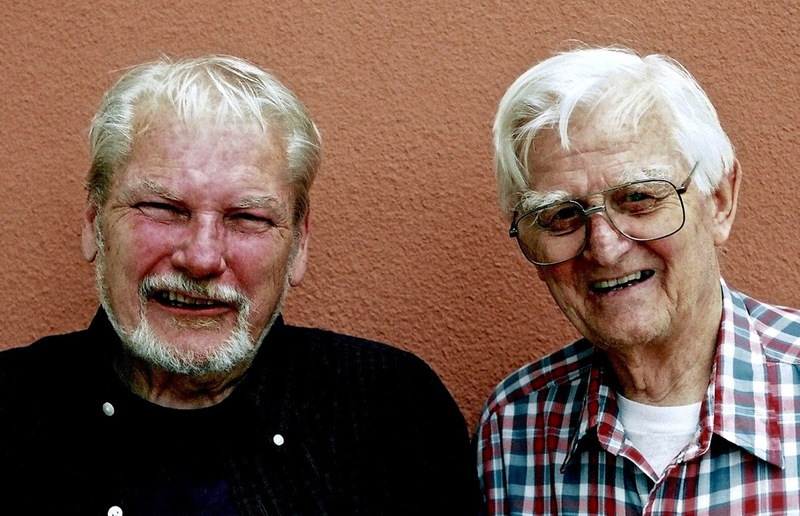 Our friendship engaged me with a reality much greater than the cowboys and Indians of my childhood in fact an epic story of conquerers versus the conquered, rich versus poor, the powerful versus powerless experienced by and witnessed through one man’s life. It showed me that if you believe in the Great Spirit or a God if you prefer that term then the measure of a man’s life is more likely to be judged in the here and now, in the small kindnesses, how you conduct yourself in everyday transactions during both the good times and the bad. One of the great challenges in life is to make the complex easy to understand. In Jack Little’s story is a man’s life played out against the background of unprecedented change, unimaginable loss and institutionalised disadvantage approached with honesty, dignity and integrity. A staunch advocate with a generous heart for his people, culture and the land. Not afraid to speak out against the greed, paucity of spirit and often destructive nature of our society. 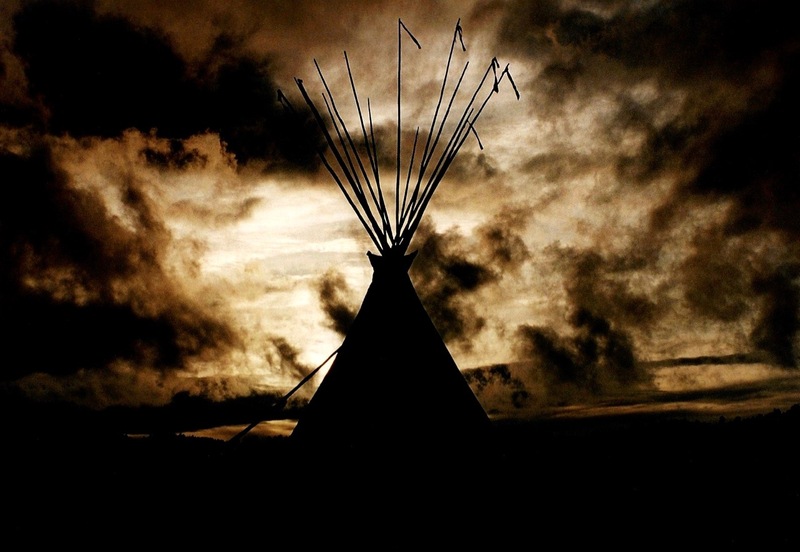 In such a changing world Jack Little did not have the honour of earning his warrior’s name but like the coyote a master of adaptation his spirit lives on in his people the Lakota. A hard life no doubt but a life well lived. Andrew Hogarth. Track 13 Buffalo Medicine Horns. Music and Lyrics by Andrew Hogarth and Chris Fisher. These lyrics are quite dark and urgent and can be interpreted on more than one level. In a literal sense the verses describe the breakdown of a relationship leaving the enigma of the chorus but as a whole the song describes more of a metaphysical experience, the existence of good and bad spirit medicine. The Great Plains are full of stories if you stop long enough to make acquaintance of the people and allow the stories to be revealed. A story told to me by a well respected trader in the late 1990’s has long remained in my consciousness. It is the story of a pair of buffalo medicine horns that were traded around the American West for many years. Ill fortune from significant loss of property through fire, exploding cars and woes of a more personal nature variously plagued each of the owners of these horns. After five years and driving through a heavy rain storm hoping to change his fortune the most recent owner of the horns presented them for sale. Assessing the extraordinarily stressed man and his offering the above mentioned trader left his counter and shortly returned with a shovel advising him “Do yourself a favour and dig a deep hole in a field and bury the horns forever. Forget about making money on a sale it’s not worth it.” Of unknown origin the buffalo medicine horns had never been deconsecrated and held bad spirit medicine. The man followed this advice and his good fortune slowly returned. This is a true story and an allegorical introduction to the issues of acquisition, custodianship and repatriation of sacred and cultural objects. On a lighter note buffalo do not shed their horns so exit that relationship with grace and dignity while there is still a semblance of life. Andrew Hogarth. Track 14 Big Hole. Music and Lyrics by Andrew Hogarth and Chris Fisher. The epic story of the flight of the Nez Perce is legendary. Eight hundred souls pursued some twelve hundred miles by the US Army across the daunting monumental landscapes of Oregon, Idaho, Wyoming and Montana over the course of more than a hundred and twenty days only to be denied freedom just shy of the Canadian border. A classic tale of a tolerant tentative friendship usurped by the arrogance and greed of the proponents of Manifest Destiny. On 9 August 1877 the US Army launched a pre-dawn attack on the Nez Perce encampment at Big Hole, Montana. The Nez Perce believing their pursuers were some way off had taken time to rest and replenish supplies in the bountiful elevated valley. The ensuing battle lasted two days and saw the indiscriminate death of some eighty Nez Perce men, women and children, thirty soldiers and civilian volunteers as well as a significant number of wounded. Gaining the ascendency during the battle the Nez Perce managed to bury their dead and flee the valley. While a tactical victory for the Nez Perce, the loss of warrior strength decimated their ongoing fighting ability. This proved an influential factor in their final decision to surrender at Bear Paw, Montana just forty miles south of the Canadian border. Big Hole is a memorable battlefield. I first walked the village site some thirty years ago and was struck by a deep sense of sadness and spiritual disquiet. It is a place of substantive and indefinable energy. The power of this place was again revealed to me in 2008. In an early morning trail walk up the mountain to the siege area my quiet contemplation was interrupted by a fearsome roar. The presence of a Puma concolor ‘the cat of many names” revealed itself. Partially obscured by a nearby tree the distinctive profile was unmistakable. The decisive swishing of it’s tail led to an outwardly calm but less than graceful retreat. A fitting emblem of this story; a vast ranging, powerful, solitary, misunderstood being capable of adaptation and protective unity in a time of need. Weyakin rich…to experience Big Hole is to open yourself up to the past and in that process understand that unity over division will always be one of the true manifestations of power. Andrew Hogarth. Track 15 Children of the Mist. Music and Lyrics by Andrew Hogarth and Chris Fisher. There are moments in your life of absolute clarity where seemingly disparate events line up as if meant to be. Children of the Mist was conceived in one of those moments. A clear sunny Sydney day with the brilliant coastal light making even the ordinary look extraordinary, the words of a much respected elder humming below the surface of my consciousness and the vibrancy of three young children on their first visit to the city. In 1998 I was invited to photograph Yuin elder Gaboo Ted Thomas, a man of quiet dignity and wisdom. Those qualities were born of a life well lived; hardworking and with far reaching dreams. Musician, archaeologist, activist, historian and a revivalist of sorts. Gaboo sought to engage with and enrich humanity through The Dreaming. A tree of spiritual significance to his clan was our chosen location. Throughout our photoshoot his quiet repetition of the mantra “the world has lost it’s soul” undulated as both a lament and a challenge. It has remained with me ever since. Almost a decade later a chance encounter initiated a photoshoot that I had originally declined. Three young sisters were enjoying a holiday in the city safe under the watchful eye and warm embrace of their Maori grandmother Alice; a respite from the sometimes darker circumstances of life up North. Wide eyed, ebullient and fearless Zoe, Joyce and Lydia appeared to not have a care in the world. I was struck by their grace, good manners and despite their age an inner calmness. It was a fun photoshoot enjoyed by all. Those bright sunny days remind me that Mother Earth gives generously of her spirit and of our duty to protect and nurture her. My hope is that the world will once again reclaim it’s soul and as in The Dreaming community spirit will thrive in communion with our natural world. Andrew Hogarth. Track 16 Comanche Moon. Music and Lyrics by Andrew Hogarth and Chris Fisher. What is it within an individual that emboldens them to say no …I will fight to the end but not diminish myself within that fight? This I feel captures the essence of Quanah Parker, born on the southern plains to a Comanche Chief and a captive white woman blessed and burdened by the heritage of two worlds. A much loved child to a near destitute orphan, a fierce resistance fighter and accomplished warrior, politician, lawman, rancher and businessman, polygamist, community leader, family man, spiritual leader, a staunch advocate for his people and perspicacious in nature. Quanah Parker was one of those rare individuals able to operate with fluency in two worlds. The Comanche successfully denied infiltration of interlopers into their territory until near decimation of the southern buffalo herd by voracious government sanctioned hunters began to severely affect their commissary in the early 1870’s. The 1874 Comanche, Kiowa and Cheyenne coalition attempted to stave off this offensive but with little effect. An attack on buffalo hunters at Adobe Walls ushered in the Red River War of 1874-1875. The great Comanche horse herd, integral to their way of life was slaughtered en masse in Palo Duro Canyon during the war, a seminal event ultimately leading to the fall of the free ranging Comanche. By 1875 there was little choice but to submit to reservation life. Quanah Parker and his Quahadi band were the last to surrender. In quiet testament to the might of the Comanche the dried bleached bones of their horses still lay evident on the Palo Duro Canyon floor some seventy-five or more years later. A familiar sight to ranchers in the area their startling disappearance remains a mystery. Quanah Parker’s house in Cache Oklahoma still stands but only just. Named for it’s striking rooftop decoration the house once an epicentre of bicultural life now stands in a destitute state. A veil of apathy unrelieved by a still evident genuine affection has charted an uncertain future for it’s survival. I visited the house in 1990 and looking through the window at that simple table around which Quanah Parker hosted some of the great cultural figures of the last two centuries I wondered how he would have navigated and resolved this dilemma. A principled man with a strong moral compass, a future vision and the ability to build consensus amongst diverse people often ahead of the public mood. Steadfast in his beliefs but not blind to the need for change. Quanah Parker was a formidable antecedent of today’s Comanche Nation. Andrew Hogarth. Pictured in the Great Plains Volumes I & II in July, 2018 are the images that were published with the sixteen and twenty-eight page colour booklets. Also included in are a series of images that were not published but are a part of the important documentation regarding the stories that were woven into the fabric of the lyrics. A special thanks to Putt Thompson, Bill Groethe, Chief John L. Sipes Jr, Arlene Eckart and Chuck Cochran for allowing these images on the music section of this website. Pictured above in the back row is Buffalo Calf Woman (Mochi) and her husband Cheyenne Bowstring Warrior War Chief Medicine Water during their three year imprisonment at Fort Marion, St. Augustine, Florida from 1875-1878.